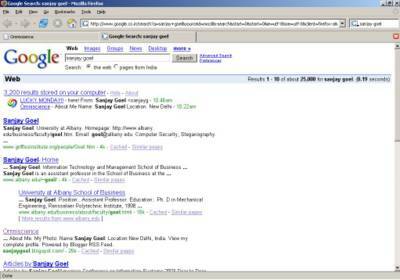 Well, nothing much to be crazy about, but now I can tell my friends to search my name in google to get to my blog ;-). Due to some unknown reason, google doesn't cache the individual links on this blog and sometimes even this main page is not cached. Just came across this link to the mozilla forum which discusses about various firefox tweaks for improving its performance. If you find it too long and bloated to read, you are not alone, so did I. But hey, here is this really handy utility Firetune, that would do all this for you. I just ran it and selected the "Fast Computer, Fast Connection" option for my office pc and my firefox is now noticeably faster. I always like this line "Your favourite application just got better ;)"
This picture was taken during my first year house day function. 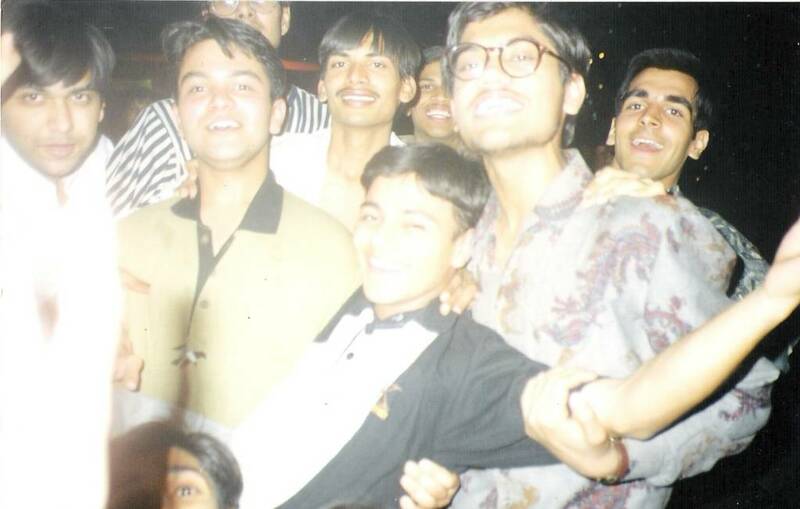 Besides me, gullu, singla, sandy, suchit, bansal, nirjhar, makhmoor and dasa are part of it. 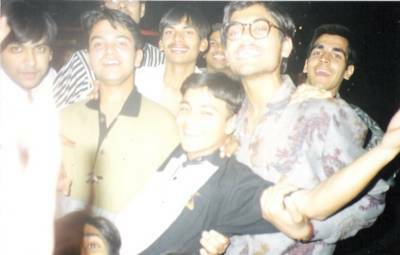 I wasn't the smartest of guys at that time, but what's the big deal, neither am I now :D .
Finally I have been able to scan all the college time pictures of which I have been the sole owner till now.